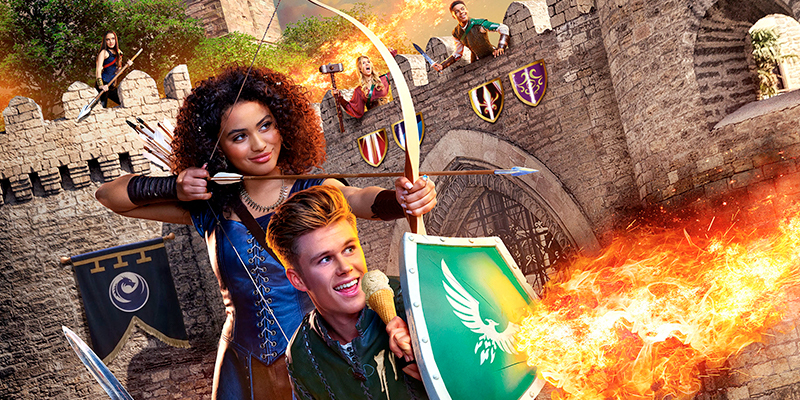 Nickelodeon France will premiere Knight Squad, Nickelodeon's newest live action comedy series, on Saturday 10th November 2018 at 10:55! Set at a magical school for knights in training, where two mismatched students form an unlikely alliance to protect each other’s secret and pursue their dreams, new episodes of Knight Squad, locally titled L'École des chevaliers will continue to air regularly on Nickelodeon France. Get ready for an enchanted series full of magic, castles and swords when two mismatched students at Knight School form an unlikely alliance to protect each other's secrets and pursue their dreams to become knights. There is only one place in the magical land of Astoria where the young and fearless can train to become elite warriors - Knight School! Meet Ciara, the fierce and competitive star student who is hiding a colossal secret - she is the royal princess in disguise! Things only get crazier at school when Arc, a cocky and streetwise outsider, strolls in with a pretty big secret of his own. Ne rate pas la première de "L'écoles des chevaliers" sur Nickelodeon ! C'est à partir du samedi à 10h55. In the first ever episode, "Opening Knight", a rambunctious princess named Ciara and a and a mischievous drifter named Arc discover each other's secret and the two become unlikely partners, banding together to achieve their dream of becoming legendary knights! Knight Squad stars Owen Joyner (100 choses à faire avant le lycée) as "Arc," Daniella Perkins (Legendary Dudas, Regarde Oups !) as "Ciara," Amarr M. Wooten (American Housewife) as "Warwick," Lexi DiBenedetto (Modern Family) as "Prudence," Lilimar (Bella et les Bulldogs) as "Sage", Kelly Perine (Santa Hunters) as "Sir Gareth"; and Seth Carr as "Fizzwick". Guest stars include: Les Thunderman stars Maya Le Clark and Jack Griffo as Brea and Sir Swayze, respectively, and Kira Kosarin; Nicky, Ricky, Dicky et Dawn star Lizzy Greene; Tenzing Norgay Trainor as "Jimbo"; and Maria Canals-Barrera (Danny Phantom, The Brothers Garcia) as Saffron. 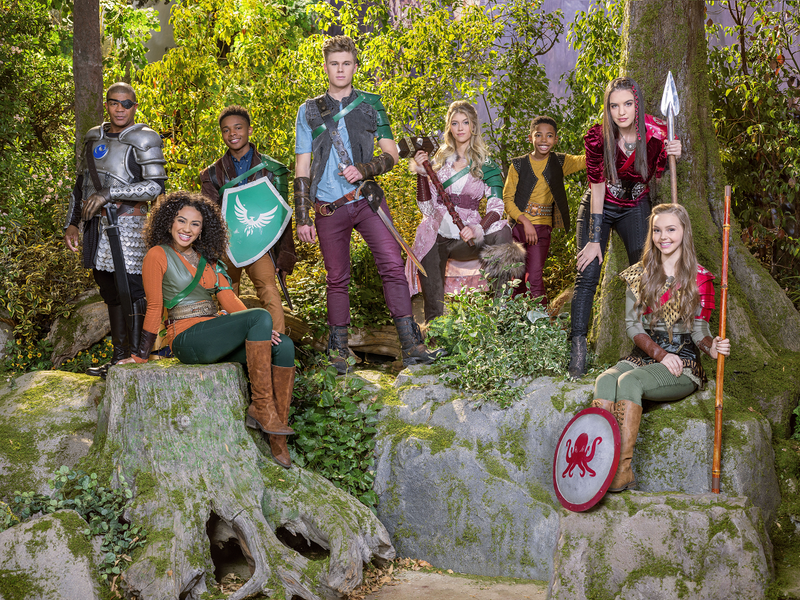 Picked up for an initial 20 episodes, Knight Squad is created and executive produced by Sean Cunningham and Marc Dworkin, executive producers of The Thundermans, and being produced by Liv and Maddie producers John D. Beck and Ron Hart. 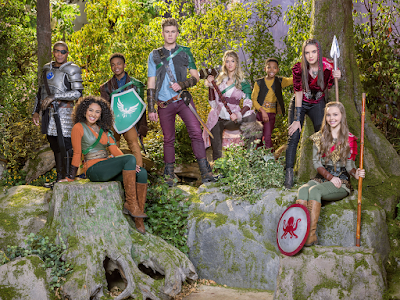 Nickelodeon renewed Knight Squad for a 10-episode second season in July 2018, which went into production in late-October 2018. Knight Squad made its world premiere on Nickelodeon USA in February 2018, and is currently rolling out on Nickelodeon channels and programming blocks globally. Originally published: Saturday, November 03, 2018.